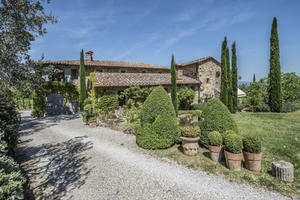 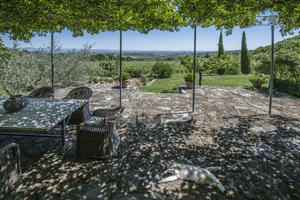 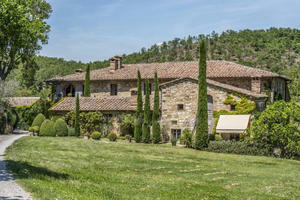 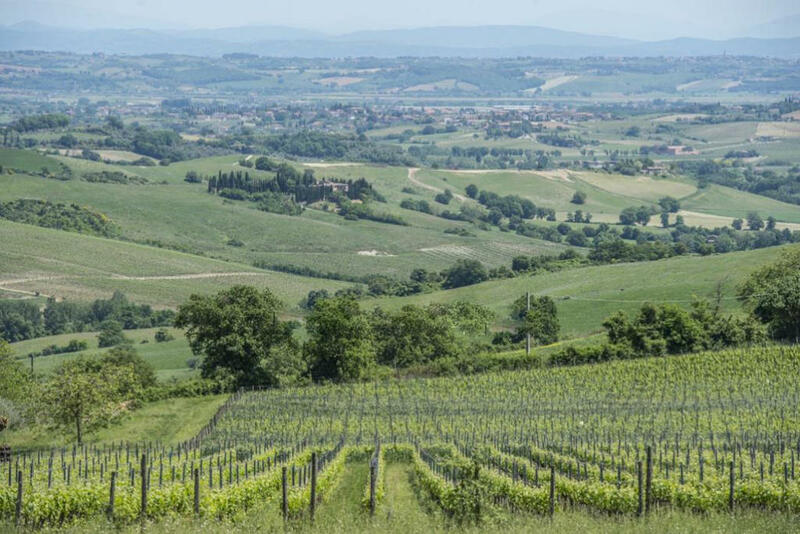 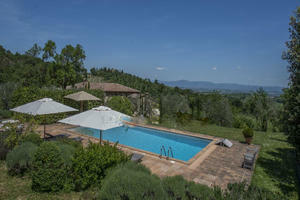 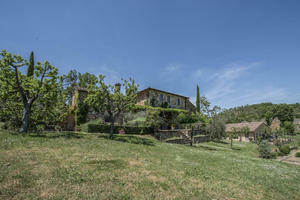 TUSCAN WINE ESTATE: AGRITURISMO, WINERY, VINEYARD AND OLIVE GROVE. 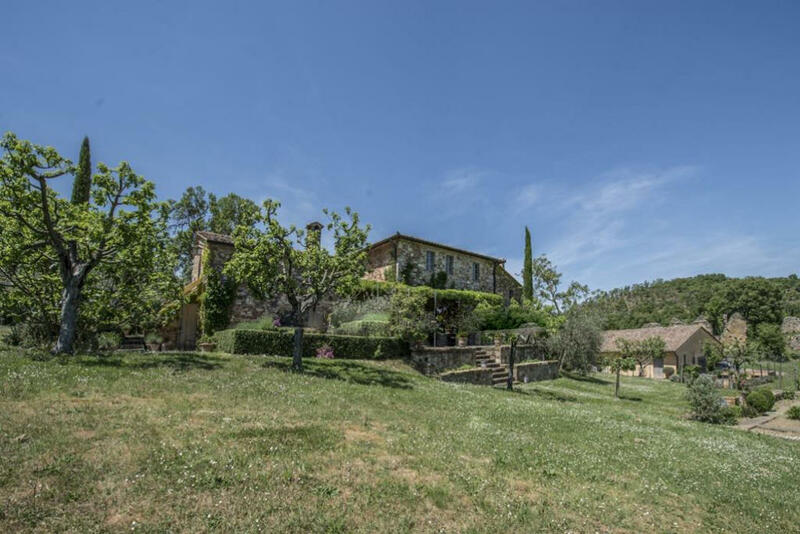 Nestled in the Tuscan countryside, close to a little medieval hamlet and to the ruins of an old abbey, dating back to the XII Century, Wine Estate with Main House placed in a hilly and panoramic position enjoying a breath-taking view over the surrounding hills. 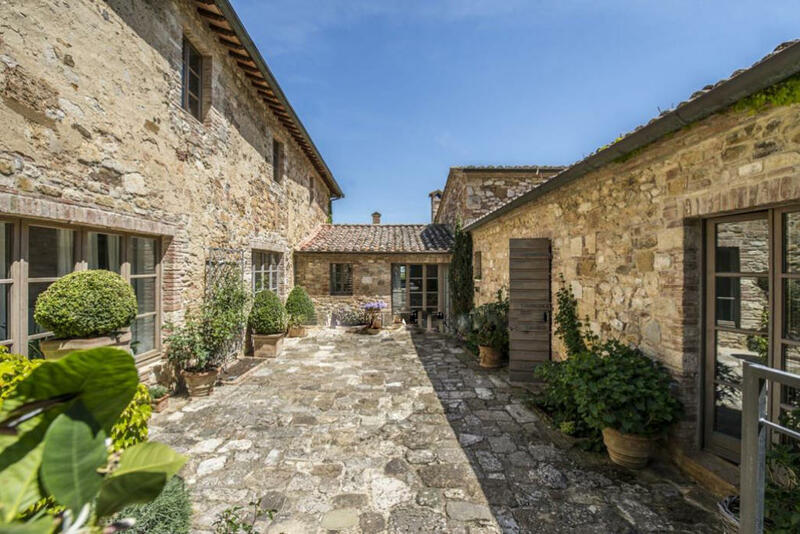 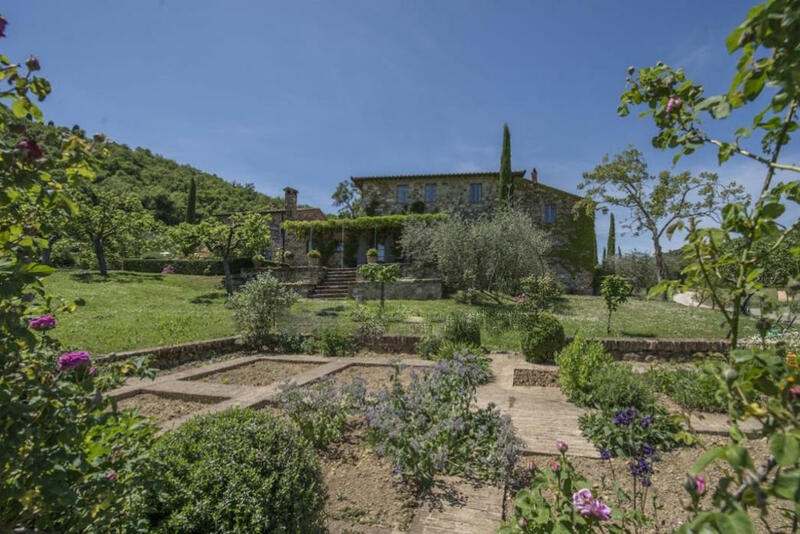 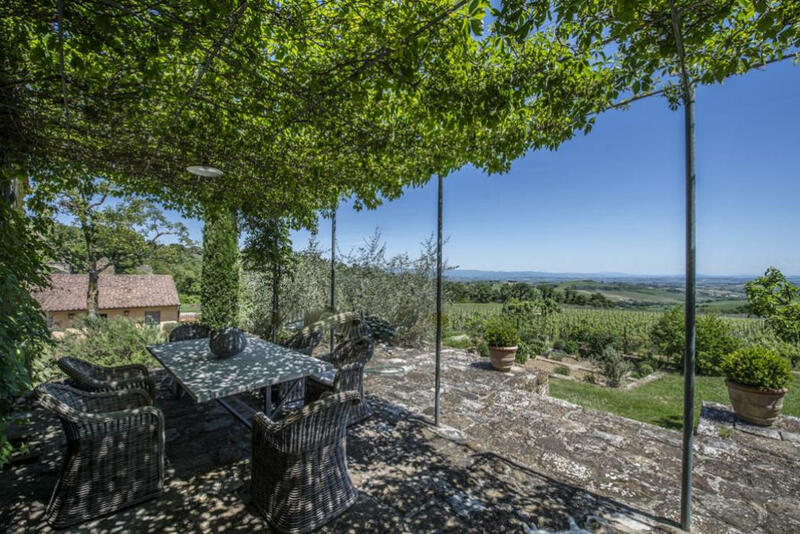 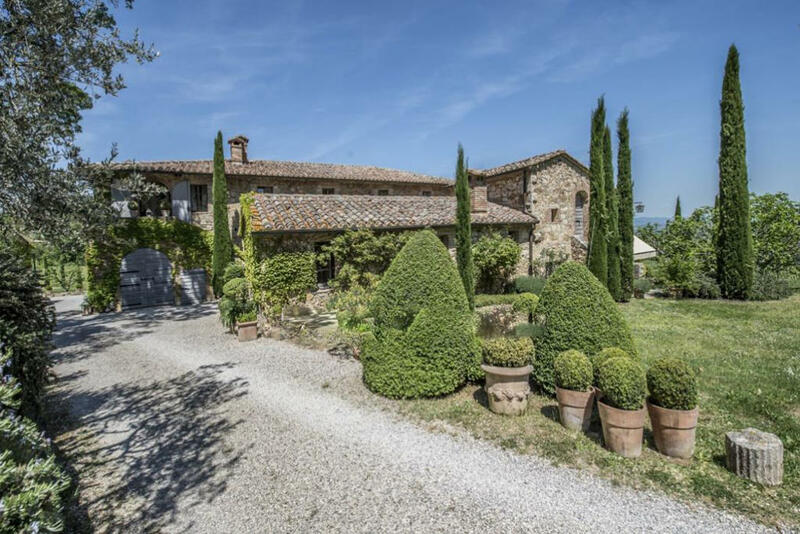 The property is located about half an hour from Montalcino and Chianciano Terme, just 8 km from Montepulciano and about an hour and half from Florence. ◦ U-shaped Main House . ◦ It has been carefully restored by the currently owners, that organized a guest house in a wing of the property. 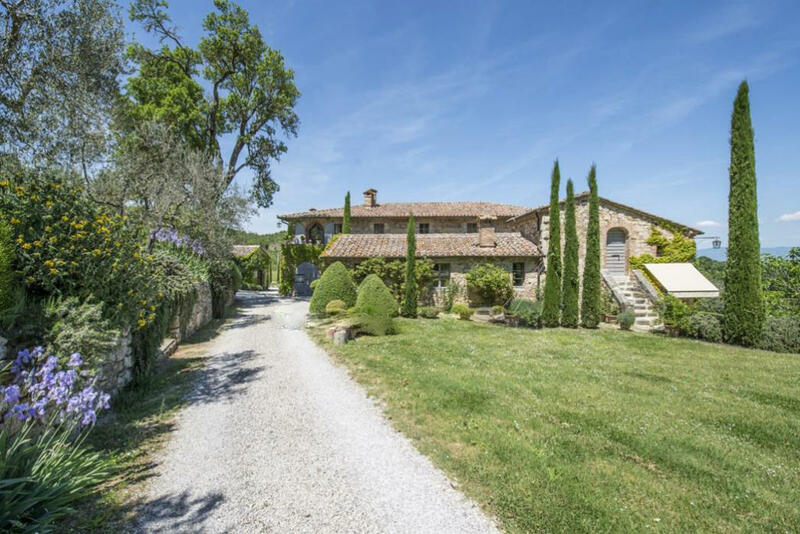 ◦ Groud floor: bright reception room with fireplace, dining room, eat-in kitchen with central island and direct access to the pergola overlooking the vineyards, pantry, studio, bathroom. ◦ First floor: 40-square metre master bedroom with en-suite bathroom. 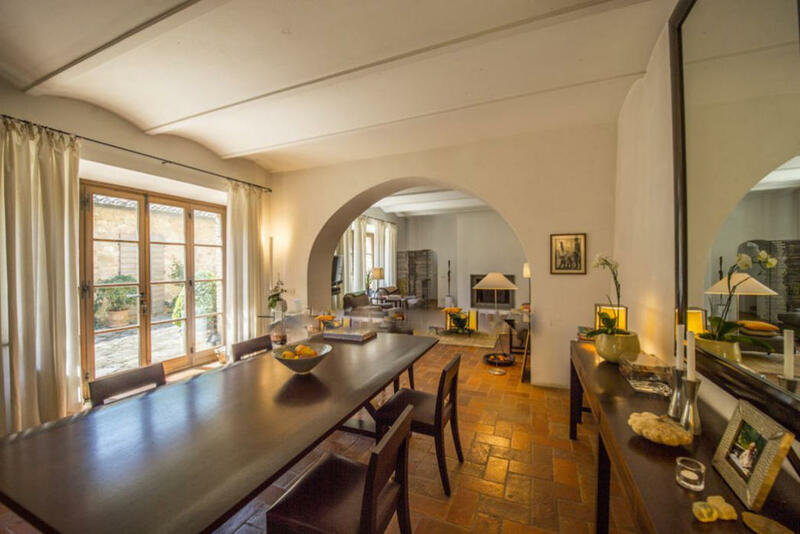 ◦ With external access, on the ground floor, there are a large temperature-controlled wine cellar with barriques and a private wine cellar with access to the reception room. 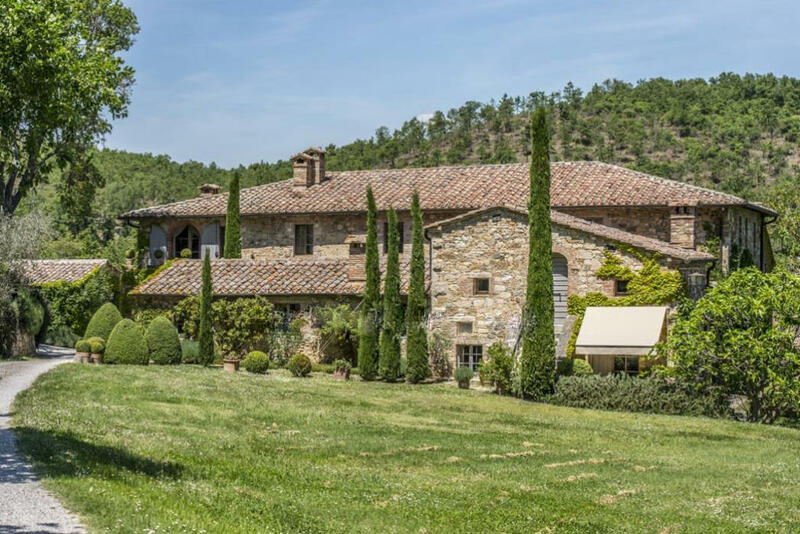 ◦ Boasting an independent access through an external staircase leading to the first floor, this section of the house can be easily connected to the private residence. 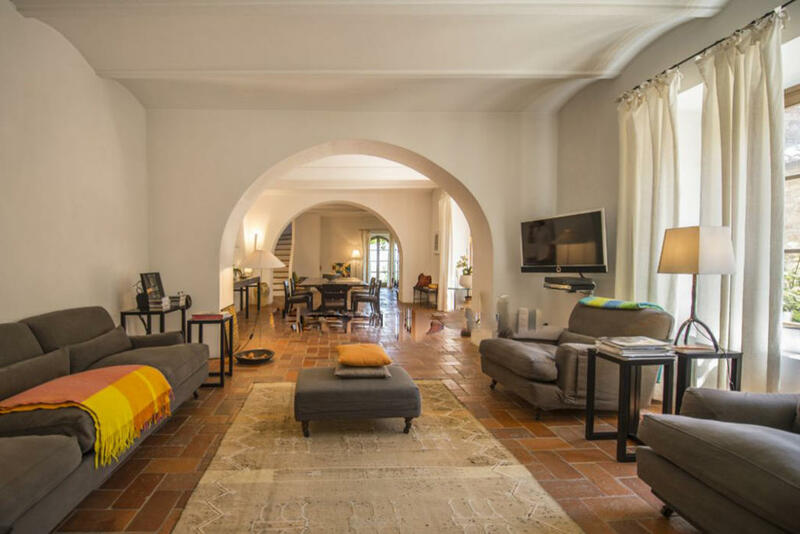 ◦ Ground floor: spacious reception room with fireplace, kitchen, dining room, four bedrooms each with its own en-suite bathroom. 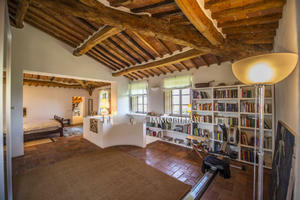 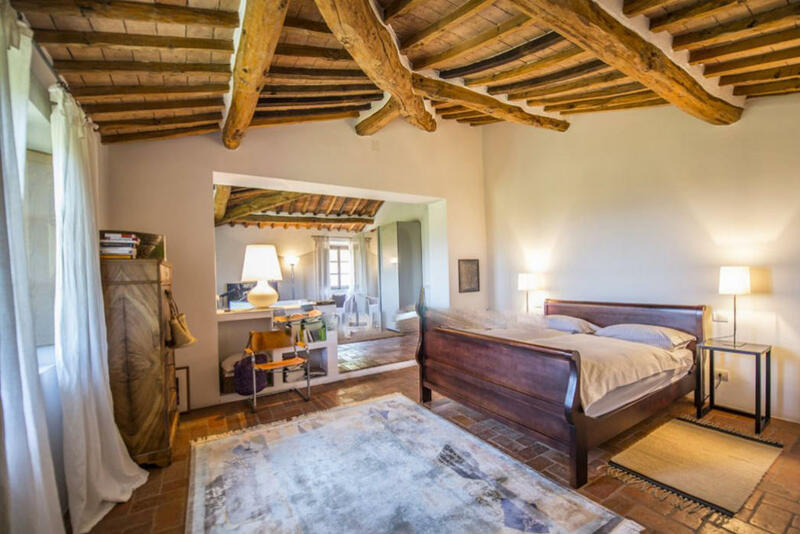 ◦ In another wing of the farmhouse, there are a studio and a storage room with wood-oven on the ground floor, while the whole first floor is occupied by a large room in need of renovation. 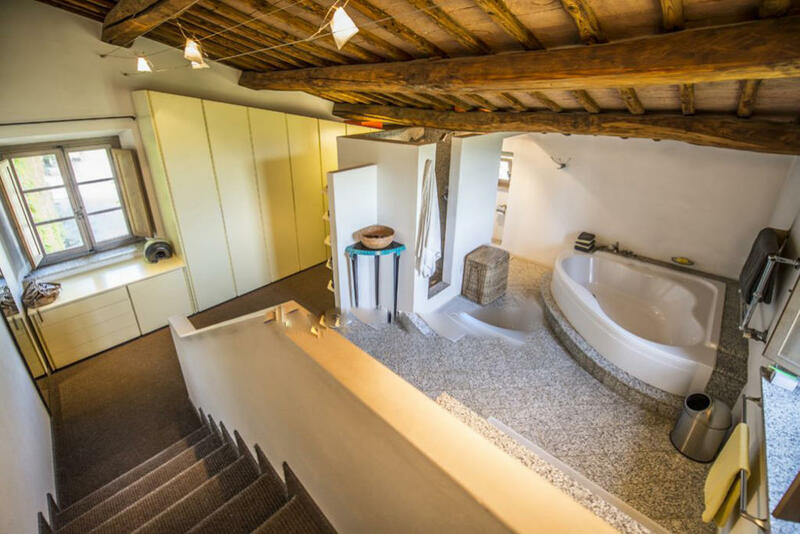 ◦ It has been organized in a separate building boasting a total surface area of approximately 200 square metres and it hosts a cellar for barrels, a bottling room, a storage room and a toilet. ◦ With a surface area of approximately 70 square metres, it is composed of a garage and a canteen with kitchen and bathroom. 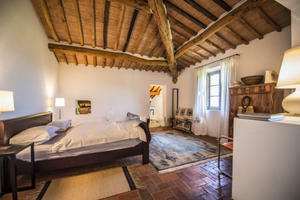 ◦ This 20-square metre room is currently used to taste company wines and Olive oil. ◦ Surrounded by a perfectly maintained garden with century trees and aromatic plants, the country house boasts a heated swimming pool with solarium. 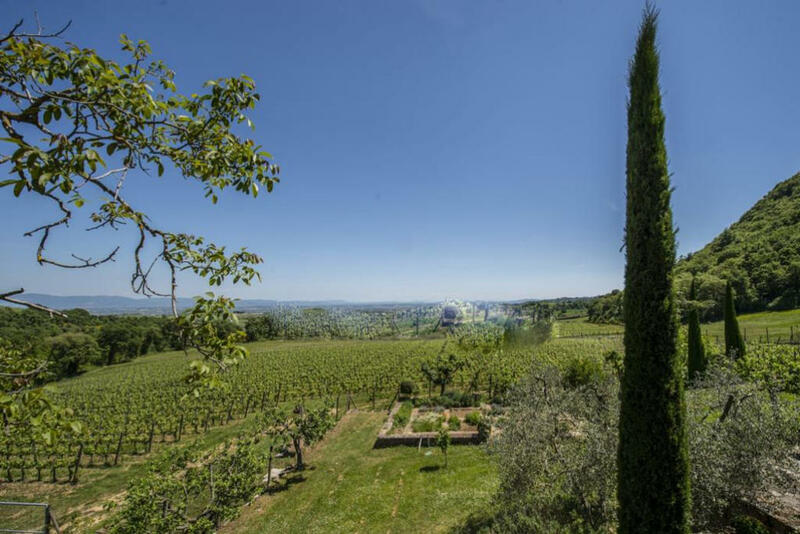 ◦ The property includes also a green house in need of renovation , whose volume could be used to create additional lodges and 26 hectares of land (6 ha of vineyard, 450 olive trees, 6 ha of arable land and 12 ha of woodland). 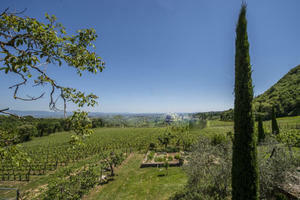 ◦ Currently the winery produces annually about 26.000 bottles of red wine “I.G.T. 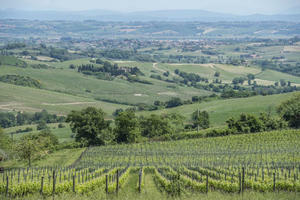 Toscana Rosso” and about 3.000 bottles of white wine “I.G.T. Toscana Bianco”. 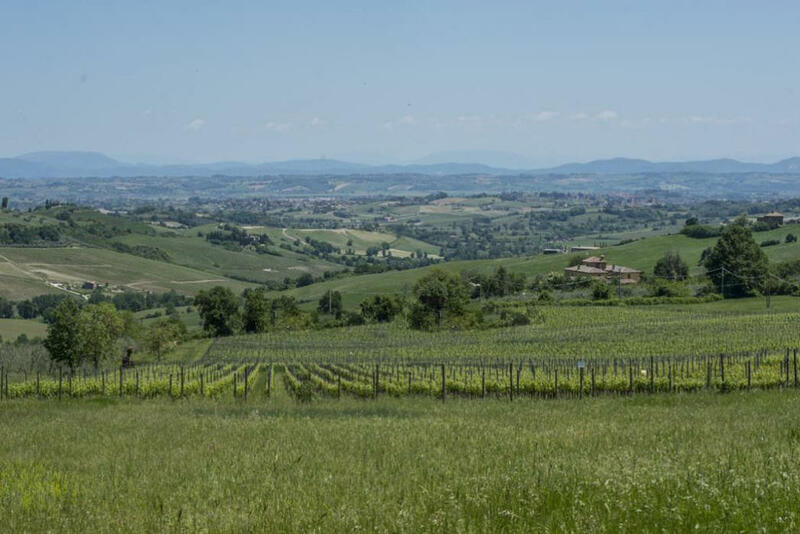 ◦ Total size of the winery in liters: currently ca 34000 liters, could be expanded to 50000 liters. 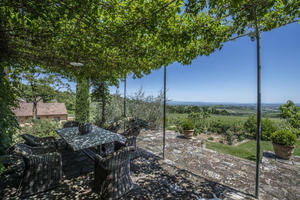 ◦ Markets: Switzerland, Luxemburg and Italy. 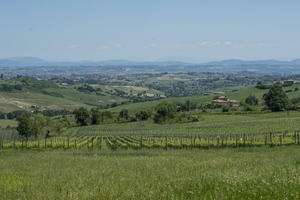 ◦ There is the possibility to plant other 2 hectares of wine. 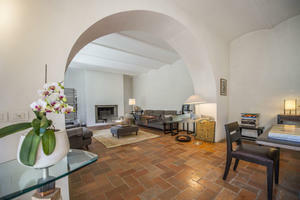 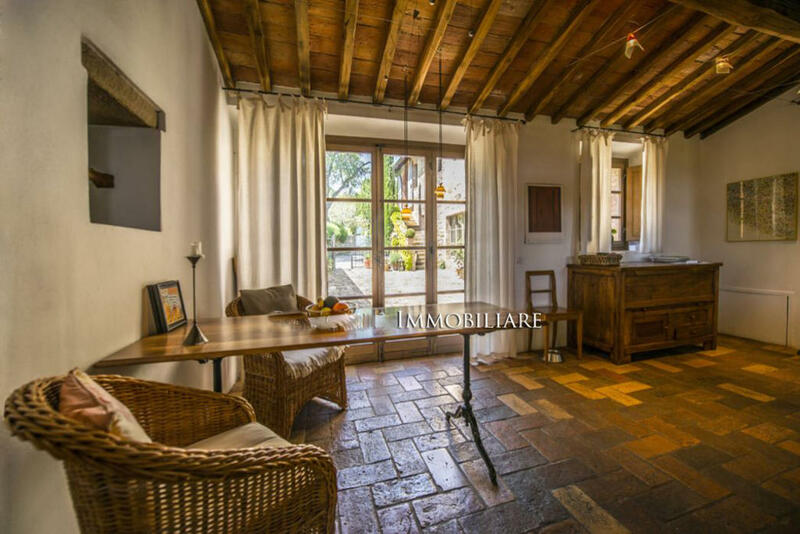 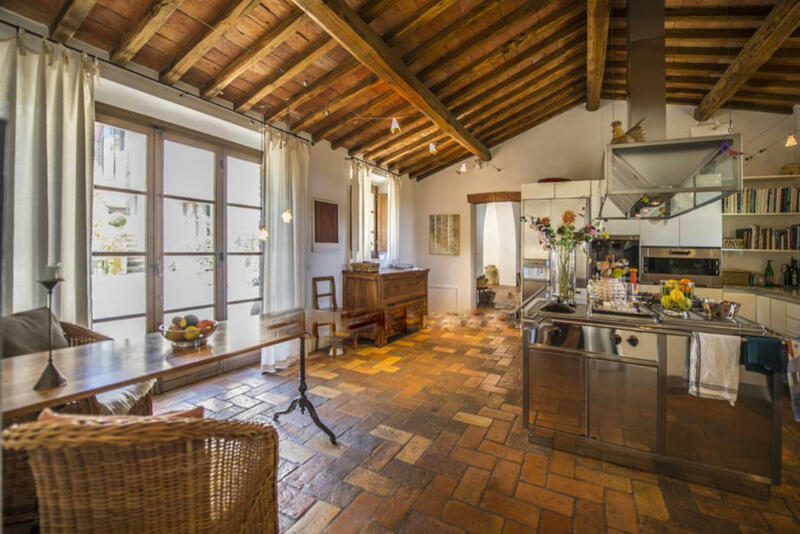 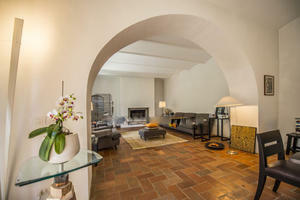 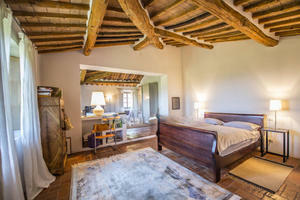 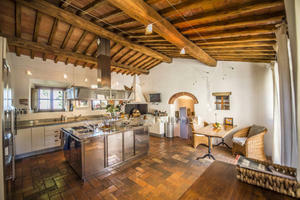 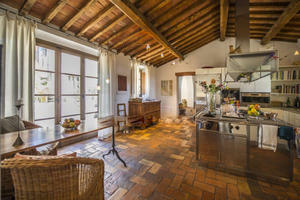 ◦ FEATURES: Terracotta floors, ceilings with wooden beams and terracotta tiles, exposed stone, pergola, courtyard.